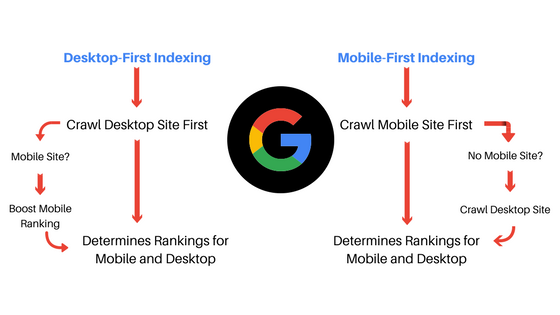 Blog Mobile-First Indexing Rollout 2018 – How Does Mobile-First Indexing Impact SEO? Google has officially announced that they’ve begun ‘migrating sites that follow the best practices for mobile first indexing’. 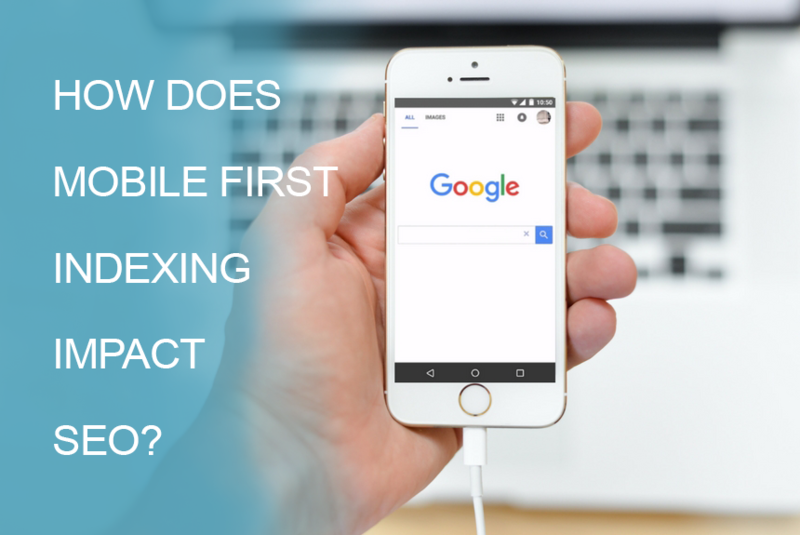 In early March, Google revealed that they would begin sending out notifications regarding mobile-first indexing, but it’s not until now that we’ve actually started seeing them. Historically, Google has primarily used the desktop version of a page’s content when indexing and evaluating relevance to search queries. But going forward will predominantly use the mobile version of a website first for indexing and ranking. So, what do these changes mean? How do they impact SEO? Yes, mobile-first indexing is exactly what it sounds like it is. It simply means that Google will use the mobile version of your website as the starting point when it comes to crawling and indexing. This means that you’re likely going to see a significant increase in crawlbot traffic from the Smartphone Googlebot, and the cached pages will usually be the mobile version of pages. It’s important to note that it is mobile-first and not mobile-only, so even if you don’t have a mobile-friendly website, your pages will still be indexed (we’re sensing the sigh of relief!). However, in saying this, there’s no harm in viewing ‘mobile-first’ as a hint to the idea that mobile may be considered Google’s ‘first’ or primary priority. In this theory, sites with responsive designs and mobile optimised content probably won’t see much of a negative impact on their site rankings after these changes – because your mobile site is the same as your desktop site. Based on Google’s statements, we’re predicting that non-responsive and desktop only sites may not see much change either, but will no doubt need to review their SEO processes if they hope to improve rankings in the future. First thing’s first, don’t panic! As Google has said themselves, these changes are designed to have minimal impact. But as we’re all working to please the algorithm, there are a few things we can consider to give our sites that extra boost. This one’s pretty self-explanatory. 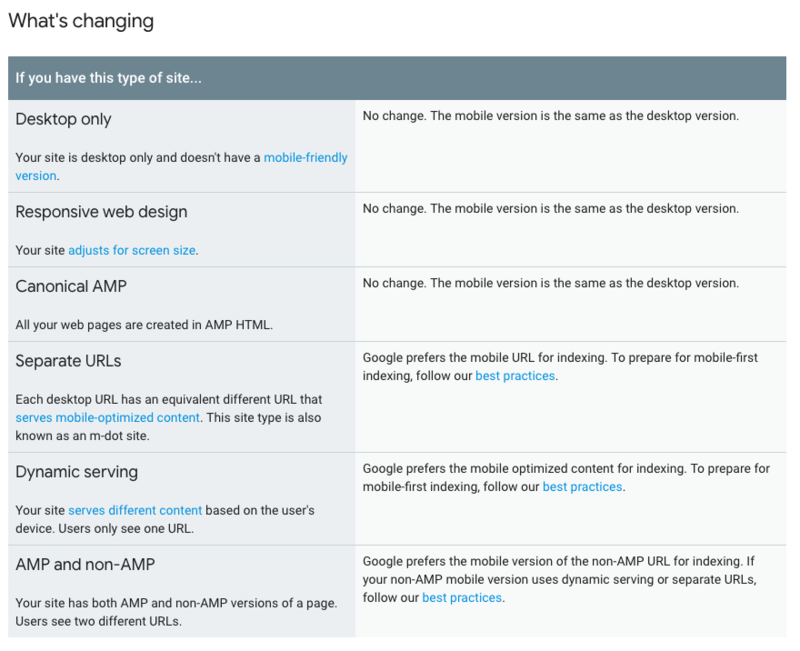 Google’s prioritising mobile sites when it comes to indexing, so while not absolutely necessary, it probably helps for your site to be mobile friendly. Especially if you’re looking to improve your rankings from where they currently sit. 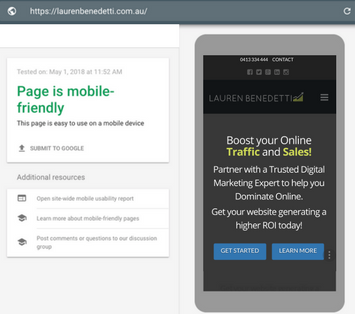 Thankfully, Google has made it super easy to see if your site is mobile-friendly according to their standards with their Mobile-Friendly Test. Simply enter your site URL (or any URL, you don’t need ownership for this one) and let the tool do its magic. If things are all up and running on mobile devices, you’ll see something like the image below. If not, Google will provide you with the points of concern. If you’re after a more specific report on the mobile usability of your site, you’ll need to have claimed ownership of it using Google Search Console. 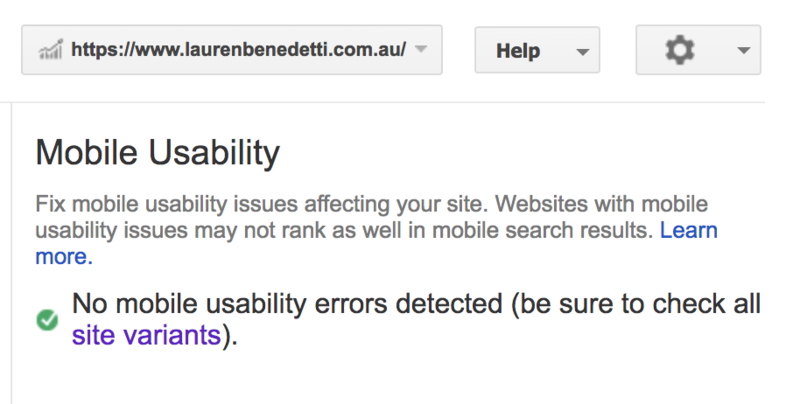 The Mobile Usability audit tool works to detect issues which may be affecting your site’s performance on mobile. Search console provides you with a Mobile Usability report which tells you the problems, if any, that need to be addressed. Some common issues include the use of flash (which can’t be rendered by mobiles), font sizing, viewport configuration and touch elements (such as spacing, navigation, and links). Given that site speed has been a pretty significant ranking factor since around 2010, we’re sure you’re not surprised by this one! However you choose to optimise your site for the web (or not), make sure it’s fast. A slow mobile site is as detrimental as a slow desktop site – Google doesn’t like it, and neither do users. In fact, it’s safe to assume that patience runs even shorter while using a hand-held mobile device when it comes to page loading time. It’s all about convenience, people! 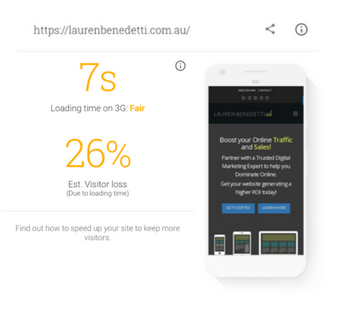 Once again, Google has provided us with some very handy tools to help us evaluate the speed of our site, the Test My Site tool runs your site using a typical 3G network, giving you a good indication of load time on a mobile network. Secondly, the Google Page Speeds Insights test helps you identify and fix factors causing speed issues on your site. Mobile-first indexing is currently being rolled out broadly. As stated by Google, ‘being indexed this way has no ranking advantage’ and will operate independently to the mobile-friendly assessment. However, Google has continued to emphasize the importance of mobile-friendly content for ranking performance within mobile search result, and fast loading times for usability. All in all, this change is not a huge deal if you’re happy with your current rankings – you’re not going to drop off the SERPs simply because your site’s unresponsive or a little slow to load. But going forward, it wouldn’t hurt to place a bit more attention on the mobile-friendliness of your site, and not just because of this update! We highly recommend you run your site through the above-mentioned tools, they’re free, easy to use, and will help you uncover potential issues that might be holding your site back. Do you need some help? We’re ready! Get in touch with the LB team today and get things rolling.